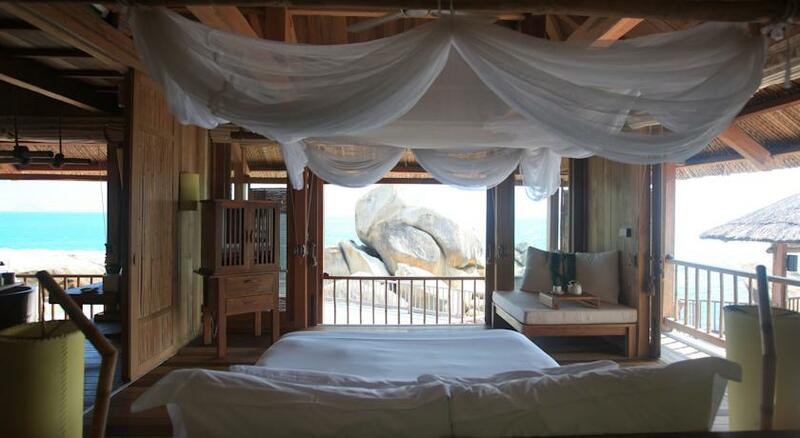 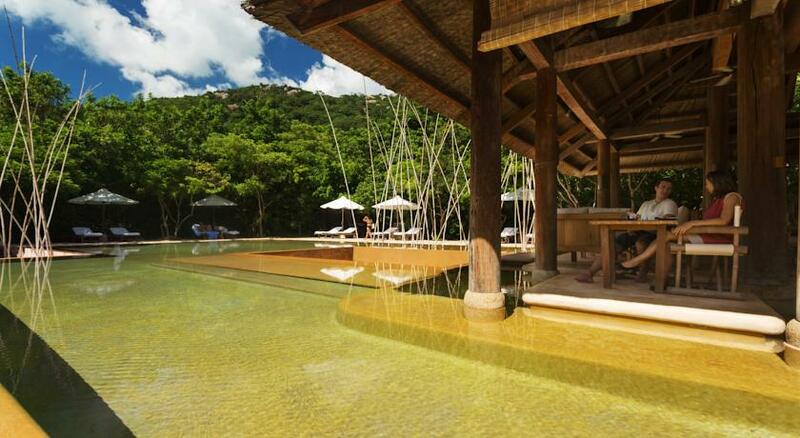 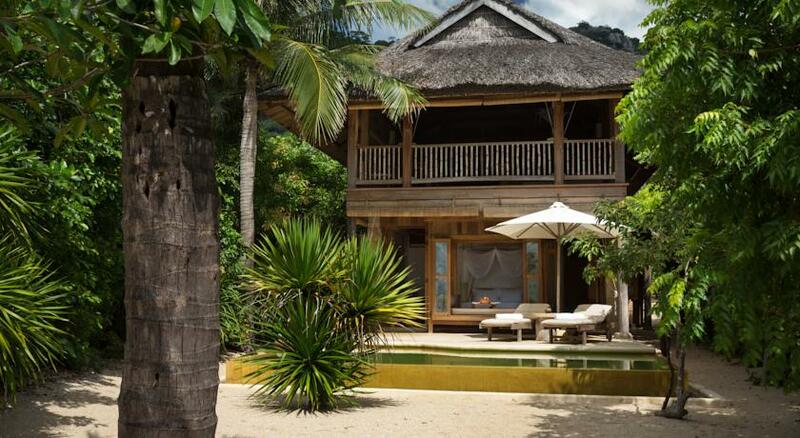 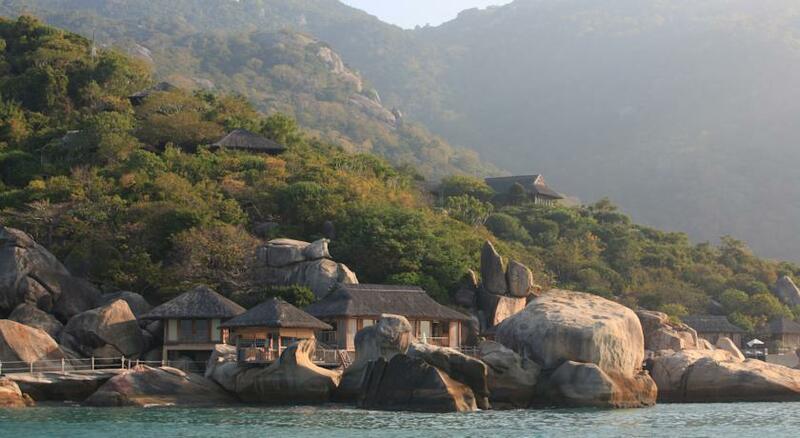 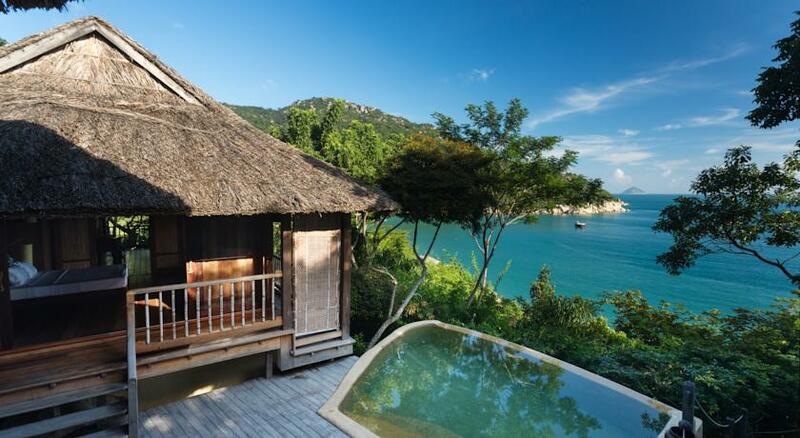 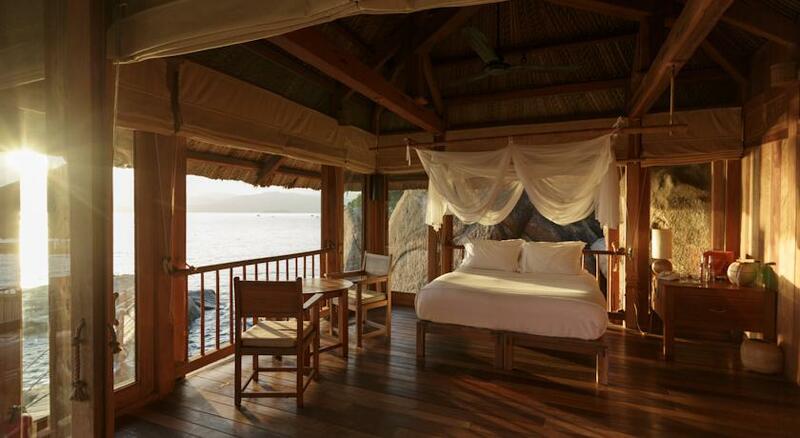 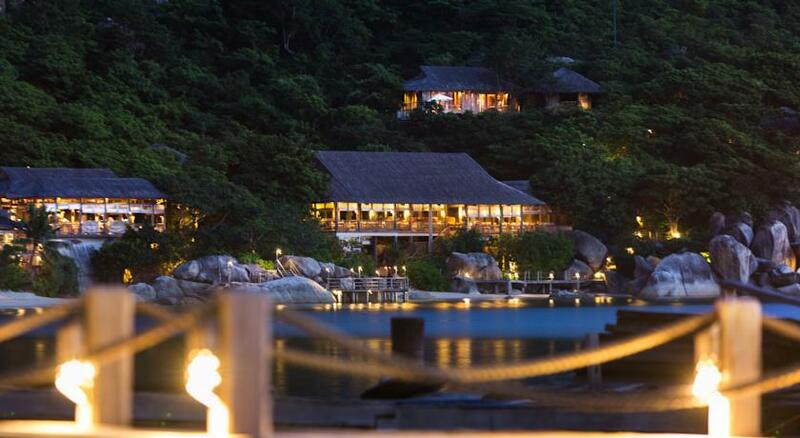 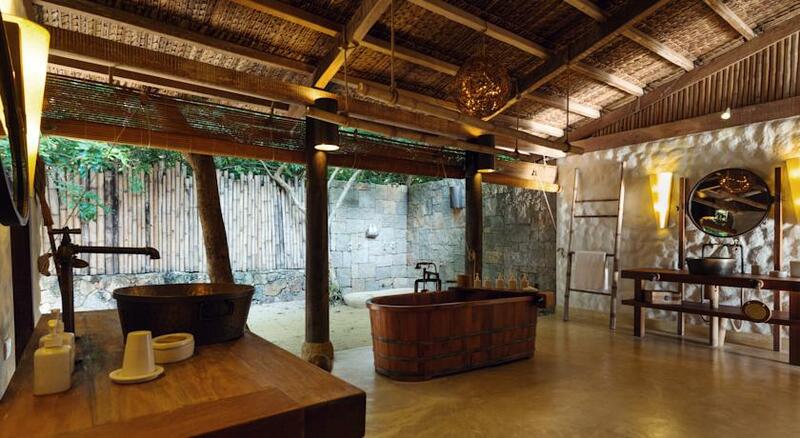 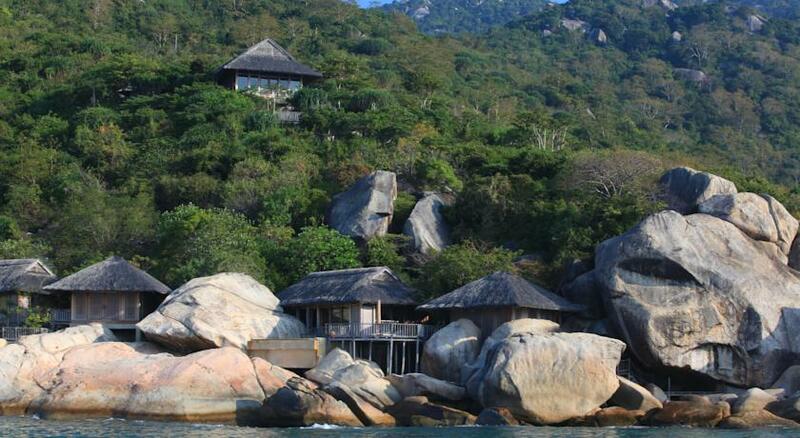 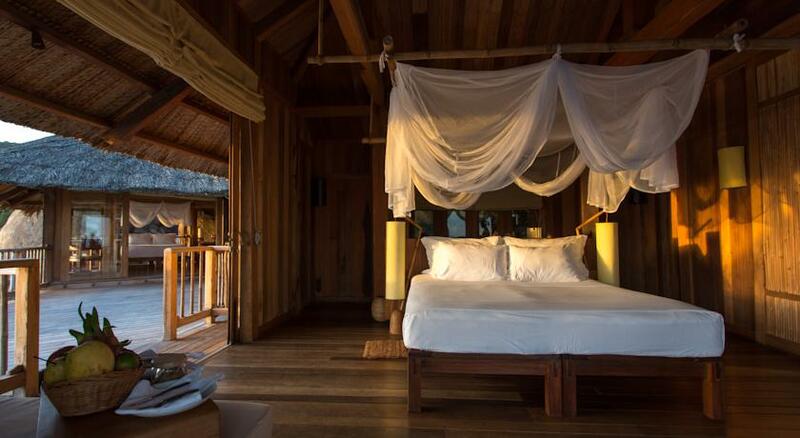 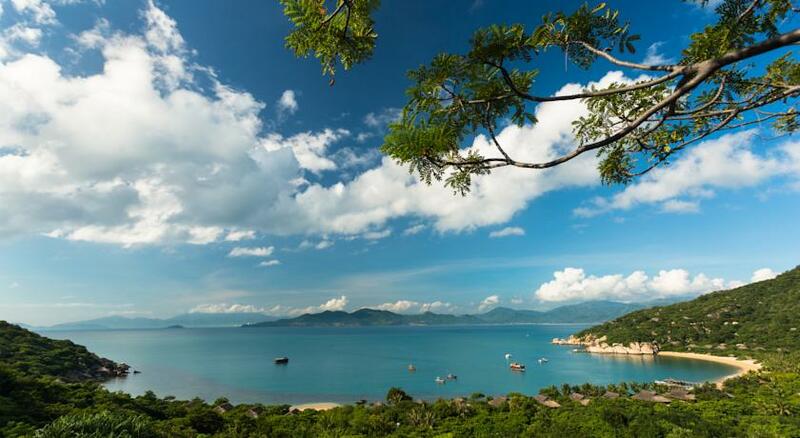 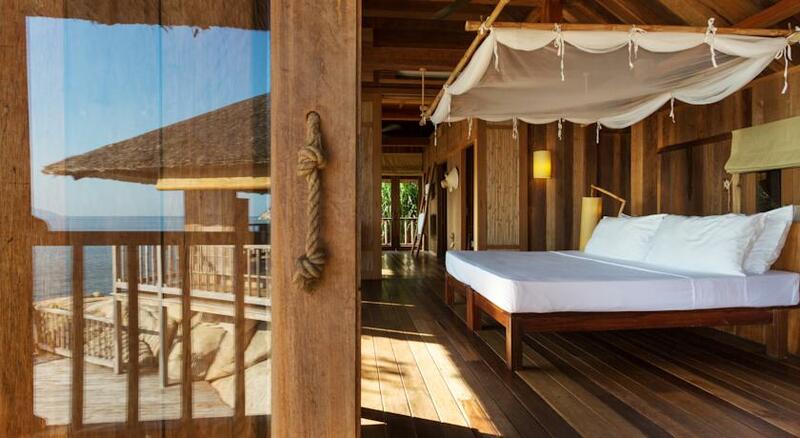 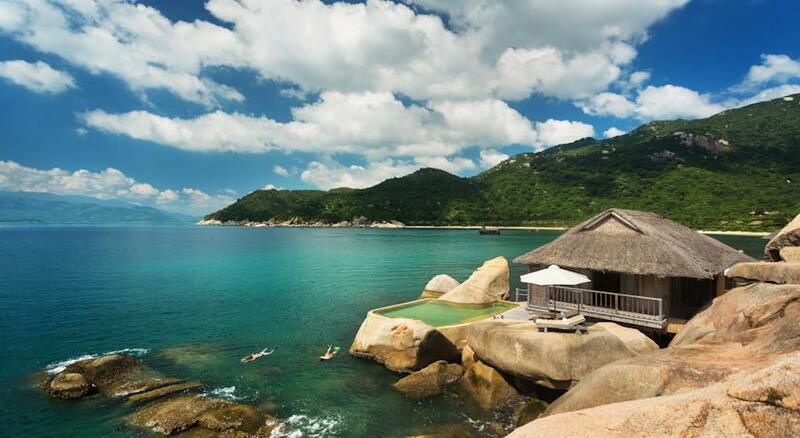 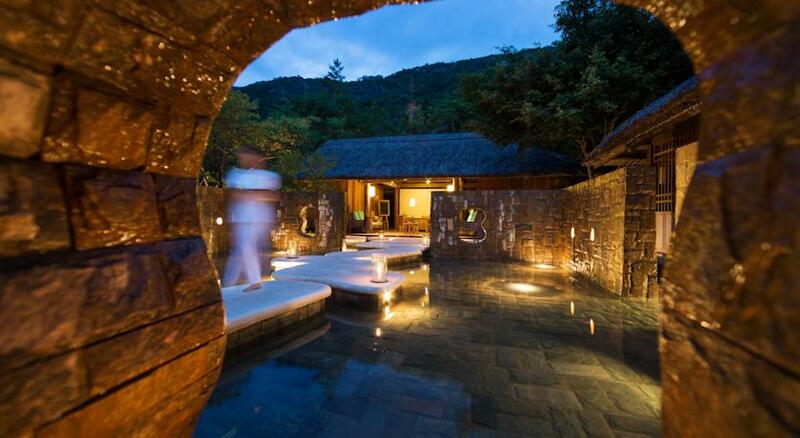 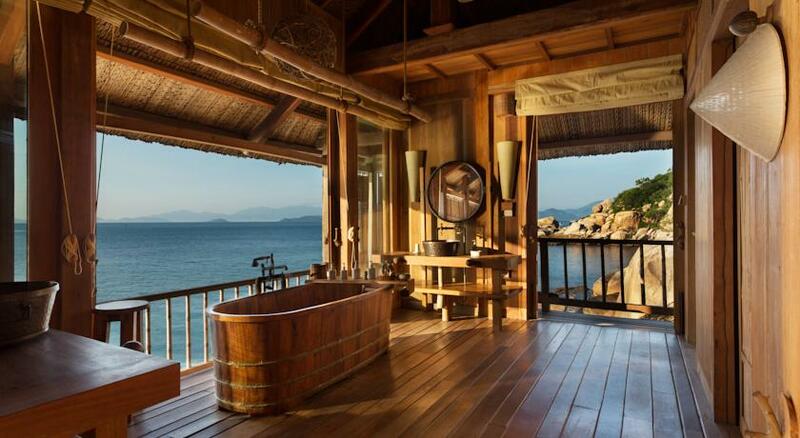 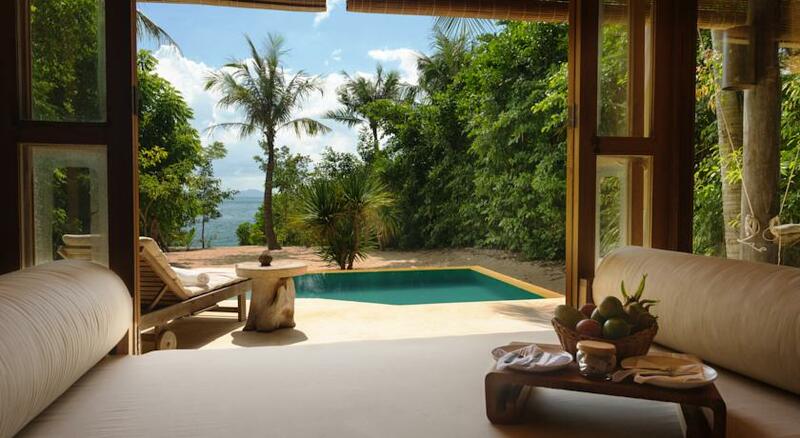 Overlooking the sea, Six Senses Ninh Van Bay Vietnam offers luxurious and spacious villas with private pools. 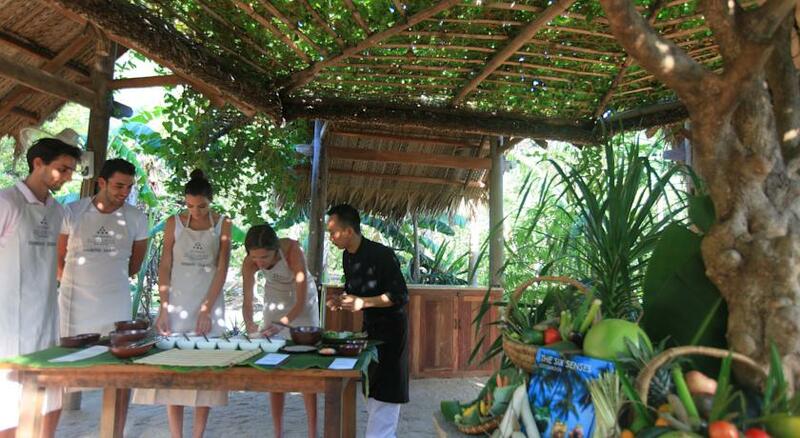 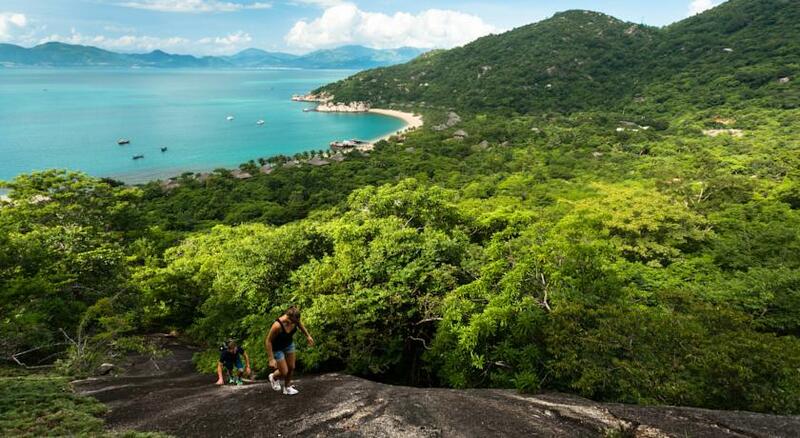 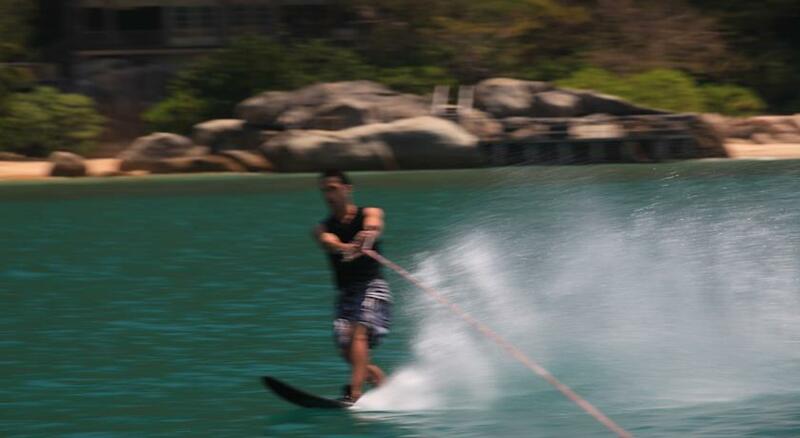 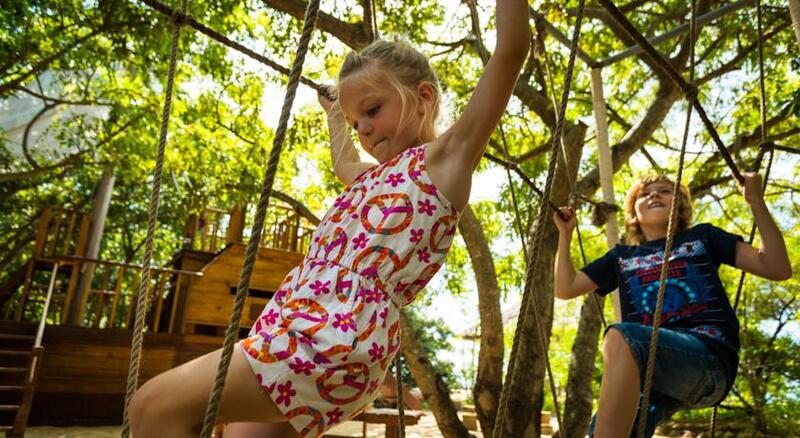 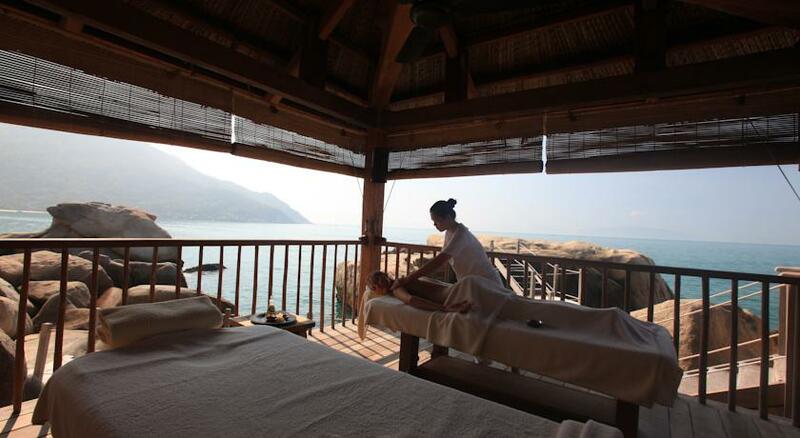 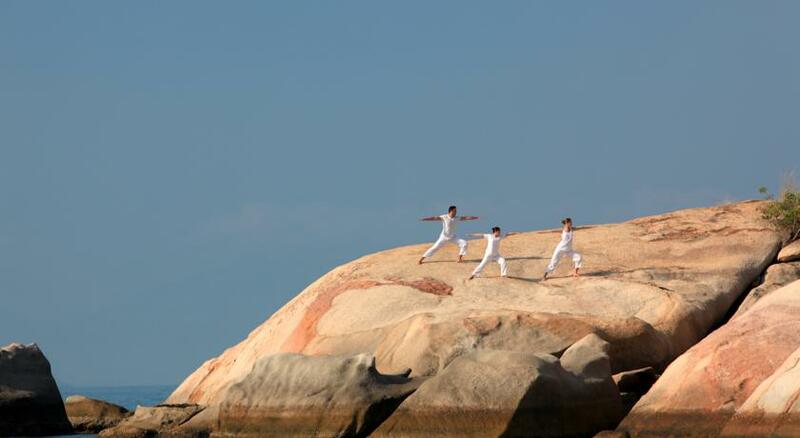 It has a spa, 4 restaurants and is a 20-minute boat ride from Nha Trang City. 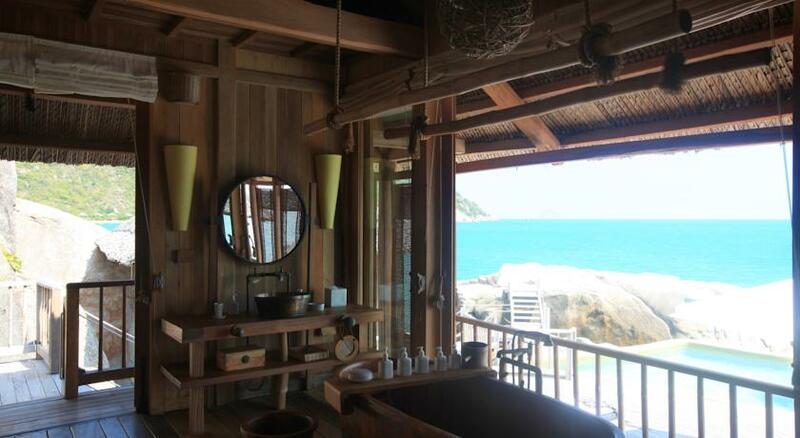 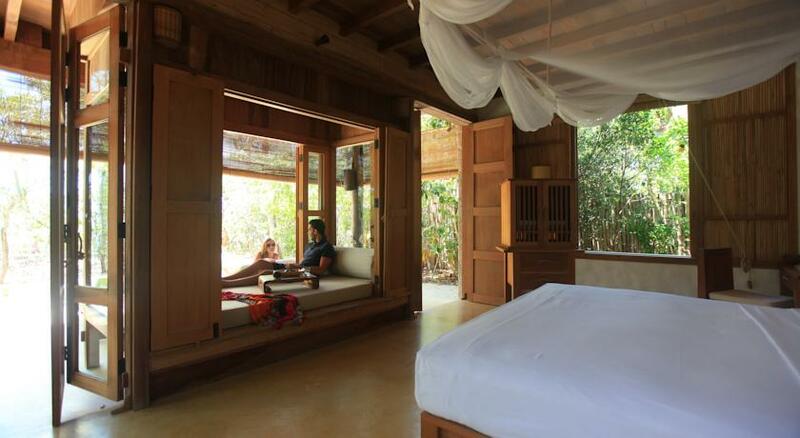 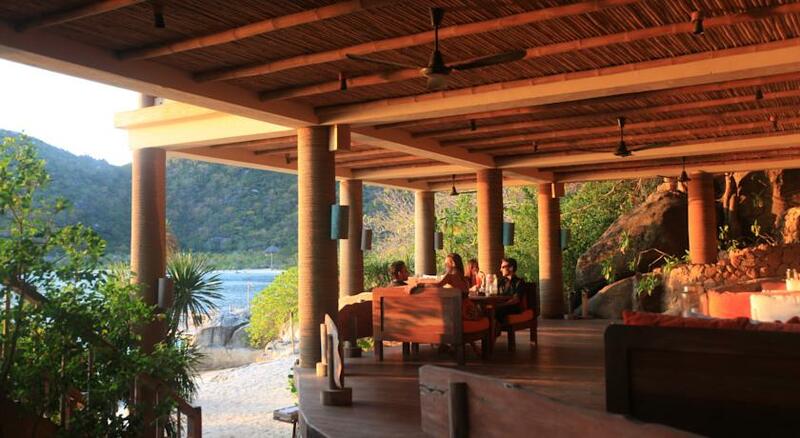 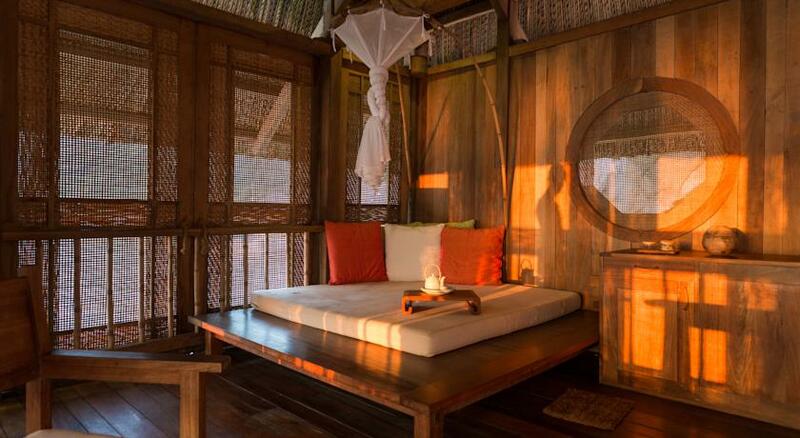 Each villa at the Six Senses Ninh Van Bay features a garden terrace or sundeck and separate living area. 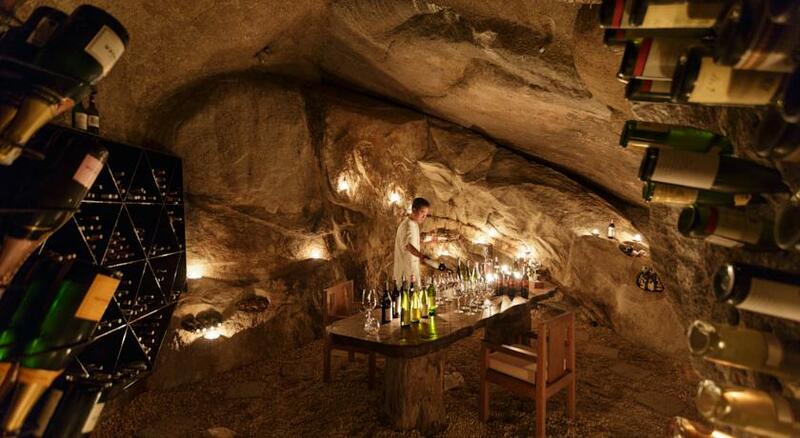 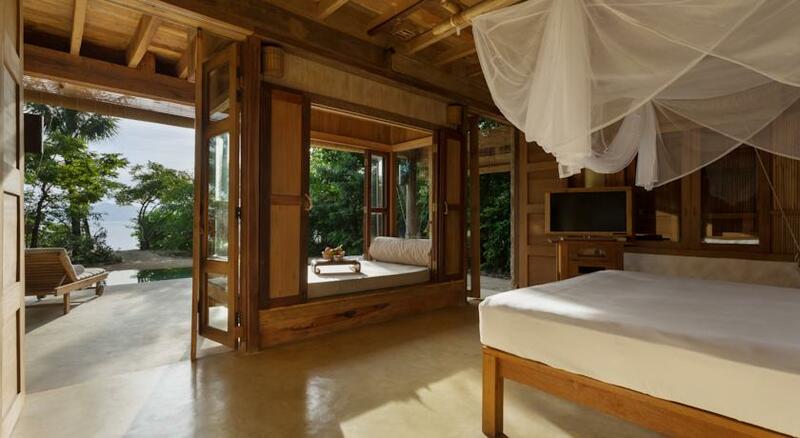 Villa amenities include a mini wine cellar, satellite TV and DVD player. 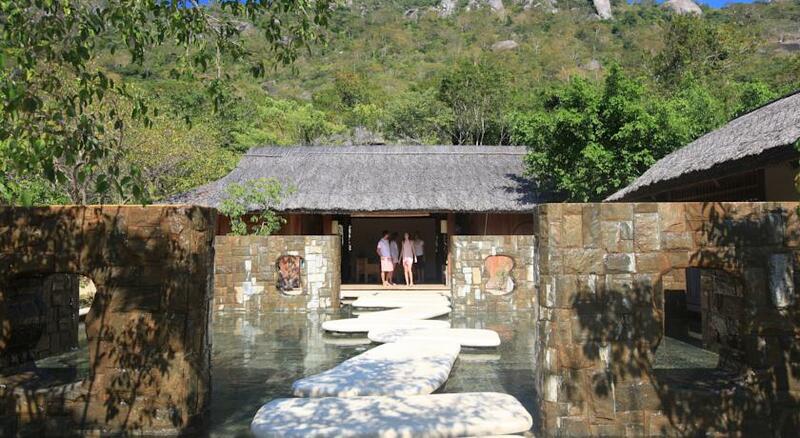 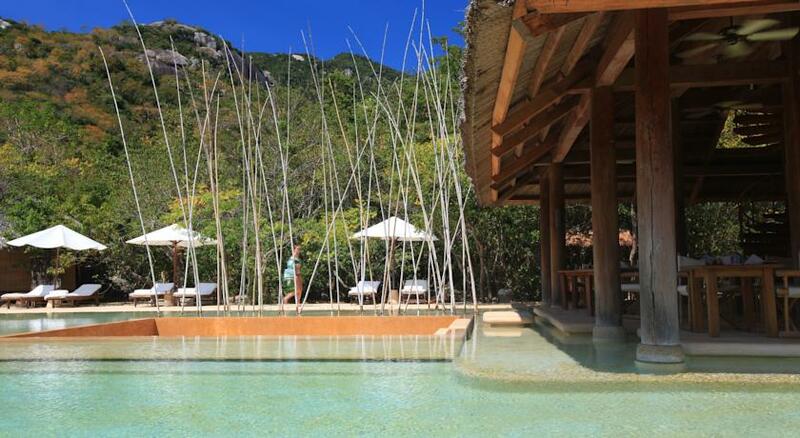 Guests can enjoy body and foot massages at the award winning Six Senses Spa, which features a yoga pavilion, fitness room and salon. 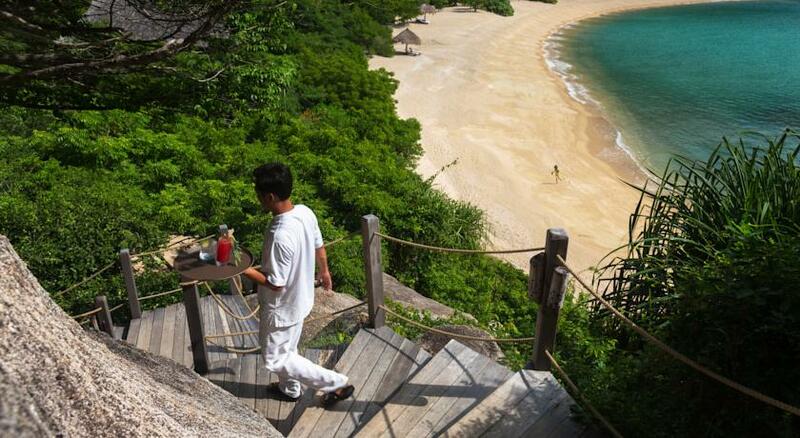 Customized detox programs and advanced oxygen therapies are also available. 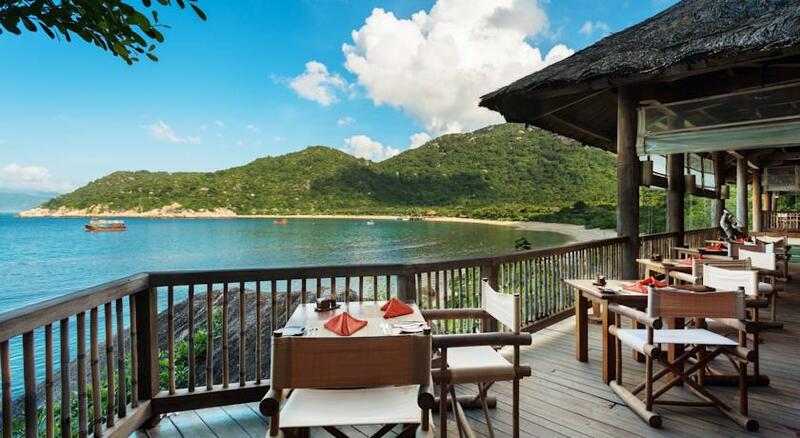 International fusion, local dishes and a buffet breakfast are served at the Dining by the Bay Restaurant. 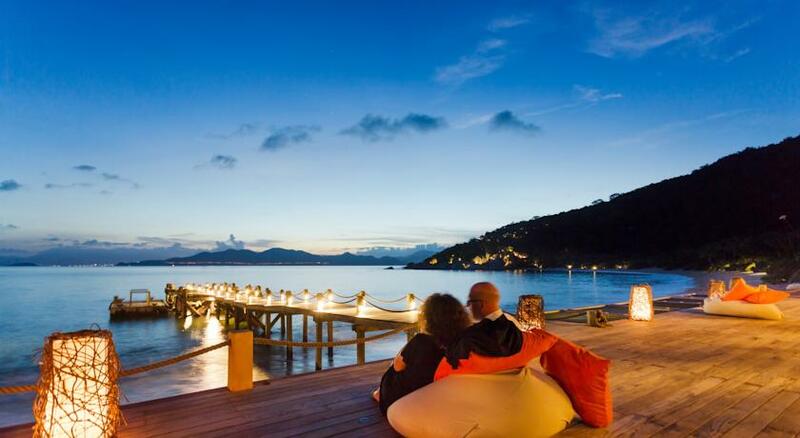 A 6-course menu and wine is featured at Dining by the Rocks, which overlook the sea. 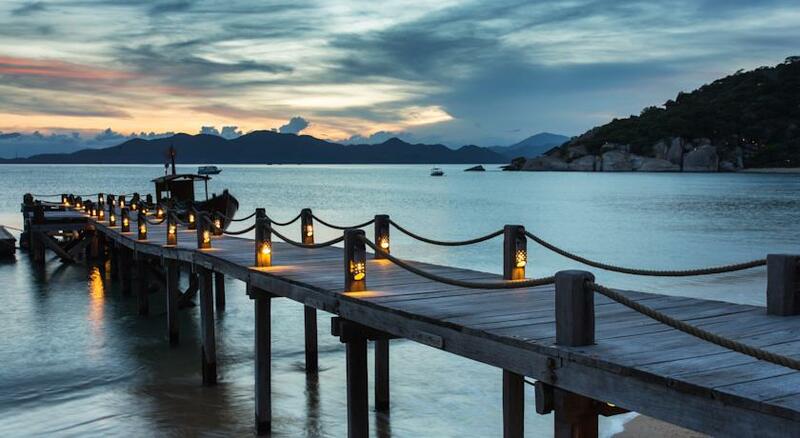 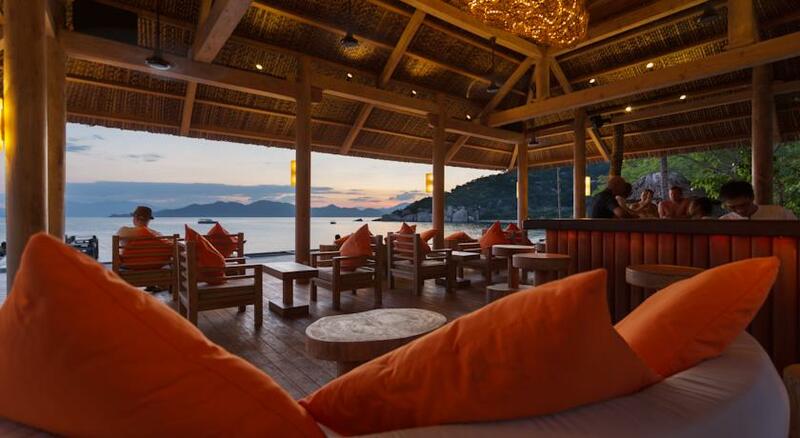 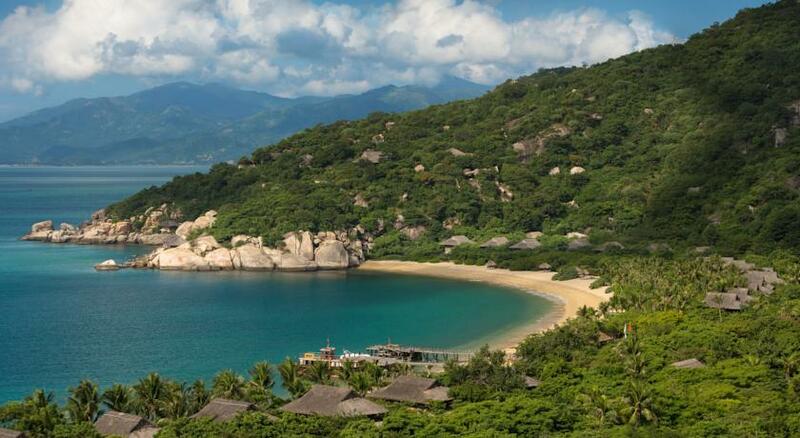 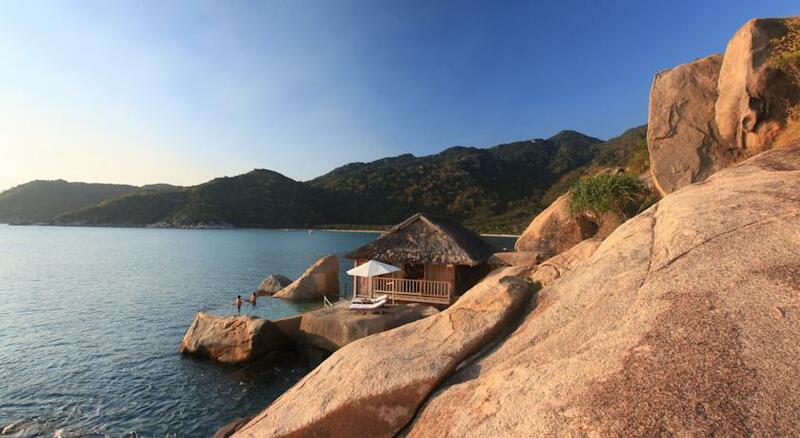 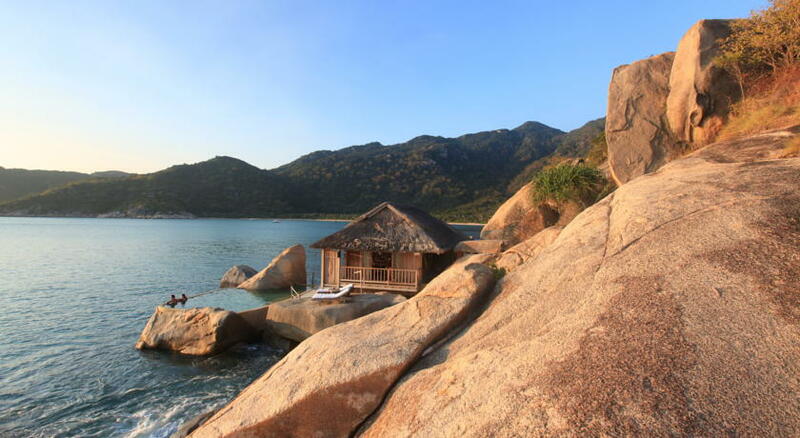 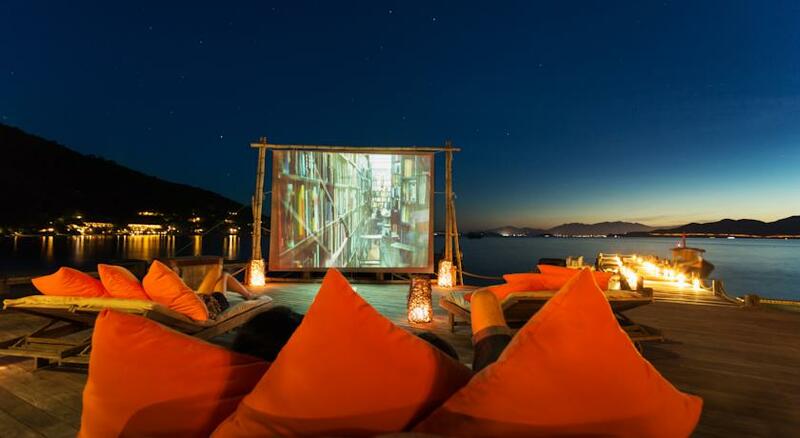 Six Senses Ninh Van Bay Vietnam is accessible from the Six Senses Hideaway Lounge in Nha Trang City, which is a 1-hour drive from Cam Ranh Airport.